Last week the Jerusalem Post reported that the Turkish Prime Minister Bulent Ecevit is calling Israel's actions in Palestine a "genocide" against Palestinians. Ecevit said at a meeting of his party that not only Chairman Yasser Arafat but the whole Palestinian nation is being destroyed step by step. His comments have led to a serious crisis between the two strategic allies since 1996. Israel immediately asked Ankara for an "explanation" of the comments, warning that Ecevit's announcement could affect relations between the countries. Ecevit later said his words were misunderstood and that he does not mean that the Israeli public is committing genocide. Ecevit also said that he does not want to disappoint or upset the Israeli people by his use of the term. But what he really meant to say was that he does not want to upset the military industry complex in Tel Aviv. American Jewish lobbies are known for their support of Turkey in the face of Armenian and Greek lobbies in Washington. They did deliver a symbolic message to the Turkish Embassy in Washington last week, decrying Ecevit's statements. They added that the comments are "particularly unseemly in consideration of their attempts to defend Turkey from Armenian claims of genocide, and in light of the Jewish genocide suffered at the hand of the Nazis." For decades the Armenian lobby has been unsuccessful in obtaining the full recognition of the Assyro-Armenian Genocide of 1915 in which some two million Assyrians, Armenians, and Greeks perished in the hands of the Turkish troops. Ironically, the Jewish-American lobbies have played a key role in stopping a Congressional bill foreseeing an Armenian genocide law. Why? Because the bill may prevent Israel's sale of arms to Turkey. On April 24 nearly every Armenian organization in the United States and several other countries will commemorate the "Armenian Genocide". An Assyrian organization in southern California will also join the local Armenian groups in such commemoration. Yet neither the documented appeals of the Assyrian and Armenian leadership in the United States, nor the long marches of the children of the survivors of the genocide to Capital Hill will bring a final resolution to this most tragic unless the arming of the Turkish military by the Israelis is stopped and therefore the creation of another rogue militant power in the Middle East is prevented. Recently TAAS-Israel Military Industries agreed to modernize 170 of Turkey's M-60 tanks, despite a public outcry raised in protest of the ongoing Israeli operations. Strained relations between Ankara and Tel Aviv may cost Israel a very sweet $670 million deal. We don't expect the Israelis to turn away from any such military deals, especially when the entire world continues to hold them in contempt for their overzealous military action against the Palestinians in Jenin and Bethlehem. To calm some legislators in Washington apparently Israel has decided that it will not participate in the upcoming three-way Anatolian Eagle joint military exercises with the United States in Turkey. Reason? Technical problems. How sad that a nation founded on the crimes against humanity during the Second World War is not only ignoring the first and most devastating genocide of the Twentieth Century and of other non-Moslem populations in its neighborhood, it is indeed arming the perpetrators of the same genocide. So the next time you ponder the reason for Washington's denial of Turkey's massacre of the 700,000 Assyrians, one million Armenians, and 300,000 Greeks between 1915 and 1923, remind yourself of Israel's new Schindler's List: a current upgrading of 54 of Mr. Ecevit's F-4 and 48 F-5 jets under a nearly $1 billion deal. It was from Assyria, known as "Mesopotamia" (between the Tigris and Euphrates) that the first civilization began, and gave rise to an intellectual thought process that helped build scientific as well as religious basis for all other cultures. Babylon which will have a large presence in the following paragraphs was an Assyrian city as it was asserted by the Greek historian Herodotus when he said: "Having subdued the rest of the continent, Cyrus turned his attention to Assyria, where the great cities, especially the most renowned and powerful of them all Babylon, to which the seat of government was transferred after the fall of Nineveh"
If we are to look deeply into the culture of Assyria, we would find that the Assyrians were the first to believe in the Oneness of God, the unseen and the greatest of all gods, but under a different name in every period. For we find the Sumerian "Enlil" who killed the dragon of the seas in order to bring about peace to the world, Then "Mardukh" in Babylon (Ashur in Nineveh). Later the idea was passed to the neighboring people like the Phoenicians, where goddess Anat the lover of Baal kills the dragon in the Canaanite Epic of Creation. Even the Hebrews' Yahweh is the hero that kills the dragon in the Torah's legend ( Isaiah 27:1 - 51:9) (Psalms 74:11-13 and 89:11). All the gods that kill the evil dragon were to represent the "Greatest" god, which would take on a different name in each period culminating in the word "Alla" at a later time after Christ from the term "El", whose strength would slay the dragon at the hands of St. George. being's interaction within his environment. However, all those gods came second to the lord of the gods, the king of the universe. We find an example in the prayers offered by King Atur Nater Epri II (900 B.C) to the god Ashur for if we replace in the prayer's text the word "Ashur" with the word "God", we wouldn't find a difference between it and prayers in modern churches. (The Assyrian Intellectual's Magazine, Baghdad, November 1977, by the Assyriologist Fred Tamimi). During 1840s Sir Austin Henry Layard (the father of Assyriology) and his assistant Hormuzd Rassam (An Assyrian from Mosul) discovered the library of King Ashur Banipal (626-667 B.C). The contents of the library included about 25,000 cuneiform tablets amongst which was the first story of the Biblical Flood explained in the Epic of Gilgamesh. In this very same library texts were found about the Epic of Creation "Enuma Elish" (Akkadian "When in the Highest") recorded in cuneiform on seven tablets, referring to seven generations in the creation of the universe and human kind, similar to the text of the seven days of creation in the Old Testament's Book of Genesis. The contents of this library are considered to be the main portal to Assyriology and the beginning of the discovery of all the writings that have been later distorted, encompassing the human thought for 2000 years. The contents of this monumental library have scientifically replaced the Torah which was considered for many centuries as the sole historic reference to the area. In the middle of the 19th century scientist Henry Rawlenson was able to decipher and read the cuneiform script, then George Smith shocked the Torah school of thought around the world when he was able to read and interpret the Babylonian Epic of The Flood in 1872. The similarities between the religion of Assyria and that of the Torah's legends astonished even the Jewish scholars at the discovery of the Assyrian cuneiform written tablets. Thus the phrase "Mesopotamian Torah" was given, and those scientists had to face a fierce confrontation by the western Churches and Jews, which resulted in the disappearance of many important tablets. Scientist Fredrich Dellitch mentions how he lectured on the topic of the Mesopotamian Torah in Berlin on 13 December 1902 in the presence of Kaiser Wilhelm II. The monarch asked him to repeat it in the Royal Palace, so he presented his lecture entitled "Babylon & The Bible", where he explained that the stories of the Bible were taken from Assyria, creating thus a huge clamor within the European media, which caused Dellitch to receive threats from some Jewish Rabbis and was severely reprimanded by western Churches. battling with the evil gods and winning them and finally marrying the goddess Ishtar, thus reviving nature and the beginning of Spring. The Sumerians called this feast "Akiti Zigorku", but in Assyrian it was called "Rish-Sateen" (The Beginning Of the New Year)... Even today, the month of Neesan is scientifically considered the real beginning to the cycle of life on earth, for in March/April, nature begins to renew and revive itself and not in January. In the Assyrian cities (Babylon, Nineveh and the rest...) the Epic of "Enuma Elish" was considered the ritual reading which embodied the Lord of the gods' eternal existence, the beginning and the purpose of life. This is considered one of the oldest Epic legends in history which was recited in the temple of Mardukh, "Esagila" (Magnificent House), that was done on the fourth day of Akitu (Assyrian New Year's festivities in Babylon lasting twelve days following the night of the equinox between 19-21 of March). The prelude to the Epic of Enuma Elish mentions in the first tablet the beginning of the first generation when the earth didn't exist and was nameless. The universe was represented by the male element, Apso (god of fresh waters), the female element Tiamat (goddess of salty waters) and Mammo (god of clouds) which moved between them (note here the exact similarity in day one of Genesis 1:1-2). Then in the sixth generation, god Mardukh (Ashur for the Assyrians of Nineveh) who creates "Lallu" (human) to serve the gods so that they may rest in the seventh generation (exactly as when God created a human on the sixth day, and rested on the seventh, Genesis 2:2-3). Briefly, the story of Creation is about the goddess Tiamat which takes the form of a dragon "Habur" which swims in the seas, she wanted to get rid of her bothersome grand-children in order to enjoy a peaceful time with her husband Apso, so she summons the scary beasts for a battle, there comes Mardukh(Ashur) and battles her until he's victorious, then divides the waters Tiamat into two parts, creating the heavens with its stars and planets, while he makes the earth with the second part where he creates animals and plants(as in the Torah , Genesis 1:6 when God separates between the waters and creates heaven and earth) When Mardukh finishes with all that, he creates a pair of humans with blood and mud then Mardukh builds a house on earth so that he may rest whenever he descends to earth in April (exactly as the Lord of hosts, builds a house in Israel ( II Samuel 7:1-17) The phrase "Lord's tent" is found in the Babylonian Epic of Gilgamesh -where the Torah"s story of the Flood was taken from, in the person of Noah after the Babylonian "Ziosodra" & the Sumarian "Utemapeshtim"). 1st to 3rd Day: Purifying souls: The priest of Easagila (Mardukh"s house) would recite solemn prayers with the other priests and the people would answer with equally woeful prayers which expressed humanity's fear of the unknown. That is why the high priest would head every day to the Esagila asking for Mardukh's forgiveness, begging him to protect Babylon, his holy city. This prayer was called the "The Secret Of Esagila". 4th Day: The same rituals would be followed as in the previous three days. Then at night the Epic of Creation "Enuma Elish" would be recited, telling the story of how the universe and the four seasons were created, how all gods united in god Mardukh following his victory over Tiamat the dragon. The recitation of this Epic was considered the beginning of preparations for the submission of the king of Babylon before Mardukh on the fifth day of Akitu. 5th Day: The submission of the king of Babylon before Mardukh. The king would enter to the Esagila accompanied by the priests. They would approach the altar where the high priest of the Esagila impersonates Mardukh then he approaches the king, begins to strip him of his jewelry, scepter and even his crown then he would slap him hard while the latter would kneel and begin to pray asking for Mardukh's forgiveness. The king would then ask: "I have not sinned O Lord of the universe, and I haven't neglected your heavenly might at all"... Then the priest in the role of Mardukh repeats: "Don't be afraid of what Mardukh has to say, for he will hear your prayers, extends your power, and increase the greatness of your reign". After this the king would stand up and the priest would give him back his jewelry, scepter and crown then slap him hard again hoping for the king to shed tears. Shedding of a king's tear expressed greater submission to Mardukh and respect for the monarch's power. Returning the crown to the king meant his power was renewed by Mardukh, thus Neesan would be considered not only the revival of nature and life but also to the State as well. Thus, these ceremonies would make the greatest and most feared personalities of that time (kings of Babylon and Nineveh) submit to the greatest god, and live a moment of humiliation with all the population, sharing prayers to prove their faith before the Mighty God. Following a brief presence in his earthly home in Babylon and renewing the king's power, god Mardukh remained in the "netherworld mountain" -- a tower composed of seven floors, known in the Old Testament as the Tower of Babylon. In the Old Testament God dwells on a similar "mountain" (Psalms 74:2). During this day according to the tradition of Akitu, Mardukh would enter his dwelling and is surprised by the evil gods who will fight him, then he's taken prisoner and awaits for arrival of his son god Nabu who would save him from "Nought" and restores his glory. 6th Day: The arrival of god Nabu in boats accompanied by his assistants of brave gods coming from Nippur, Uruk , Kish and Eridu (cities in the south of today's Iraq). The gods accompanying Nabu would be represented by statues which would be mounted on boats made especially for the occasion. Here the people in huge numbers would begin their walk behind their king towards the Easagila where Mardukh is held prisoner, chanting the following: "Here's he who's coming from far to restore the glory of our imprisoned father". 7th Day: On the third day of his imprisonment Nabu frees Mardukh. The evil gods had closed a huge gate behind him when he entered his dwelling. Mardukh would be fighting till Nabu's arrival ,when he would break in the huge gate and a battle would go on between the two groups, until Nabu comes out victorious and frees Mardukh. 8th Day: When Mardukh is set free, the statues of the gods are gathered in the Destinies Hall "Upshou Ukkina", to deliberate his destiny, there it's decided to join all the forces of the gods and bestow them upon Mardukh. Here, the king implores all the gods to support and honor Mardukh, and this tradition was an indication that Mardukh received submission from all the gods and was unique in his position. 9th Day: The victory procession to the "House of Akitu" where Mardukh's victory in the beginning of Creation over the dragon Tiamat (goddess of the nether waters) is celebrated. The House of Akitu which the Assyrians of Nineveh called "Bet Ekribi" ("House of Prayers" in old Assyrian language), was about 200 meters outside the city's walls, where there were wonderful trees decorated and watered carefully out of respect to the god who's considered the one to grant nature its life. The victory procession was the population's way to express its joy at Mardukh's (Ashur) renewal of power and the destruction of evil forces which nearly subdued life in the beginning. 10th Day: Arriving at "Bet Akitu", god Mardukh begins to celebrate with both the upper and nether world gods(the statues of gods were arranged around a huge table such as in a feast) then Mardukh returns to the city at night celebrating his marriage to goddess Ishtar when heaven and earth are united. As the gods unite so is this union arranged on earth. Thus the king personifies this union by playing the role of marrying the highest priestess of the Esagila, where they would both sit at the throne before the public and they recite special poems for the occasion. This love brings forth life in the form of the season of spring. 11th Day: The gods return accompanied by their Lord Mardukh(Ashur) to meet again in the Destinies Hall "Upshu Ukkina", where they met for the first time on the eigth day. This time they would decide the fate of the people of Mardukh(Ashur). In ancient Assyrian philosophy 'creation' in general was considered as a covenant between heaven and earth as long as a humans serve the gods untill death. Therefore, gods' happiness was not complete except if humans were happy as well. Human's happiness was consequently dependent on the condition that he served the gods. So Mardukh and the other gods renewed their covenant with Babylon upon his return to his upper house (Heaven). 12th Day: The last day of Akitu. The gods return to Mardukh's temple (the statues are returned to the temple) and daily life resumes in Babylon, Nineveh ... and the rest of the Assyrian cities. It was a tradition for the kings of Nineveh to visit Babylon and share their brethren celebrating Akitu. Thus we see king Sargon II in one of his inscriptions explaining about his visits to Babylon saying: "In Babylon I joyfully entered the house of the Lord of gods, the Esagila, and my face was lit up with happiness, I held my great Lord Mardukh's hand and we walked together to the "House of Akitu", also many gods came from different places to share in a huge procession, with goddess Ishtar and her servants who played the reed pipes and brought joy to Babylon". became Adonis for the Phoenicians and Greeks, while the Aramaeans called him Tammuz, and he became one of the Hebrews' gods (Ezekiel 8:14). Ishtar became Ashtarout for the Phoenicians and "Heavens Aphrodite" for the Greeks, and "Heavens Queen" for Hebrews (Jeremiah 7:18 - 44:17 and chapters 19-25). Then Arshkigal, the goddess of death, became the Greek "Perciphonee"... Also Neesan wasn't only considered the first month of the year in Assyria only, but the idea spread to Hatti(Syria), Phoenicia and Judea(Esther 9:1) and the Zoroastrians celebrated it since the seventh century B.C. and called it "Nuw-Ruz" (The New Day). Even though Babylon fell to the Persians in 539 B.C, the Assyrians kept their beliefs even during Alexander's time and also during the rule of his successors(331-126 B.C). During this time The Babylonian historian Berossos(Bar Aasha) compiled Babylon's history from 3600 B.C to the rule of Alexander in his famous book "Babyloniaca" in three volumes, responding to a request from king Antiochus II who ruled Babylon(261-247 B.C.). Berossos taught as well in Athens where he composed the book of "Wisdom". He was respected by the Greeks who sculptured a statue of him in his honor and made its tongue of gold. It's worthy here mentioning that Berossos during his days was the priest of the Esagila (Mardukh's House). The book "Babyloniaca" became a source of learning to the Greeks, following the letters of Herodotus and Alexander. The Greeks obtained a lot of the Assyrian sciences in the fields of religion, astrology, time measurement, calculation and mathematics, the most important one being that of Euclid in mathematical geometry which is taught till today in schools and universities around the world because it's considered as one of the basis in the science of mathematics. 1- The Oneness of the unseen God. 2- The tradition in the Land of Ashur about Mardukh(Ashur) who descends to earth and battles evil. He is then imprisoned in the earthly mountain and liberated on the third day. Life resumes with a new covenant, and as we have seen Mardukh(Ashur) was imprisoned by the evil gods on the fifth and liberated on the seventh day (that is on the third day of his imprisonment). 3- In Babylon the king takes over the role of Mardukh's servant during "Akitu"; while in the Assyrian inscriptions, on the sixth day of Akitu, the king of Nineveh's role differs from that of his Babylonian brother. The latter assumes this role if the hero Ninurta(Storm God)who takes revenge for Ashur and saves him after three days, exactly as Christ the Lord conqueres death on the third day during a strong "Storm". Death in ancient philosophy, especially that of Assyria, was considered as a form of imprisonment. 4- The beginning of Spring following Christ's Resurrection, as Spring begins when Mardukh (Ashur) is freed from darkness. 5- Mardukh's return to his upper house(Heaven) after his liberation and meeting with the gods (11th Day) just as Christ ascended to heaven following His Resurrection, then later meeting His Apostles. 6- The existence for the Babylonians of the idea of a holy trinity which was composed of Ea (god of the seas and Mardukh's father), Anu(god of heavens) and Enlil (god of the atmosphere and earth). 7- Baptism in Christianity, where the idea of cleansing sins inherited from "Nusard-El" which was considered as a tradition of sprinkling water in the path of god Dumuzi. This tradition had a great part during Akitu alongside the celebrations of Mardukh's(Ashur) freedom, the Assyrians would sprinkle each other with water to wash away their sins before welcoming god Dumuzi after his liberation from Arshkigal the goddess of death. The Assyrians still celebrate this tradition today by sprinkling water on each other and in the streets. Also known as "Nusardel" on this day special prayers are recited in the Assyrian churches. St. John the Baptist while washing the people in River Jordan asks: "Repent Ye For the kingdom of heaven is at hand" (Matthew 3:2). Many Assyrian and non-Assyrian clergy admit to these similarities but not in public, however, at the altar the Old Testament is considered the book that tells about the New Testament, and that is to preserve an old Church tradition which was followed considering the Torah as a prophecy to the coming of Christ. This tradition began in the Church of the East in the first centuries A.D at the schools of Urhai(Edessa) and Nisibin(Nisibis) which were considered as the oldest "Universities" in the world. The western Churches consider the Torah as a prelude to the Christian religion. However, the Torah contributes to the distortion of history by presenting the Assyrians as an impious and unfavoured people, while on the other hand it glorified Jews presenting them as a pious, tormented people and this has played an important role besides the Holocaust during Second World War and the establishment of the State of Israel in the 20th century. Although the Assyrians gave up their Akitu celebrations in favour of their Christian faith, they still considered Neesan as the month of renewal and resurgence. It has become a more simple festivity as until recently in the Assyrian villages girls would gather flowers and herbs on the first day of Neesan and suspend them under the house's roof, as a joyful expression to the arrival of the month of plenty and the revival of life and nature. These bouquets of flowers were called "Deqna D'Nissan" (Neesan's Beard). Also the villagers would gather their children in pairs of brides and grooms; then those children would visit every house, where they would be offered different sorts of sweets and these visits would last till night fall then they would gather to share and eat a popular meal made especially for the occasion. This tradition had its roots in the tenth day of Akitu when god Ashur would marry goddess Ishtar before they ascend to heaven on the eleventh day. On this same day the king and the high priestess as mentioned before would enact the holy marriage, and this feast is known today as "Kalou D'Soulaqa" (Bride of the Ascension). However, with the resurgence of political parties within the modern Assyrian national movement it was decided to celebrate the Assyrian New Year on the first day of April (the 10th or the 12th of Akitu according to the equinox). The celebrations took a special tradition of public processions, festivals, patriotic and traditional songs, where the celebrants gather in every country in great numbers and go out to the fields where nature renews itself. 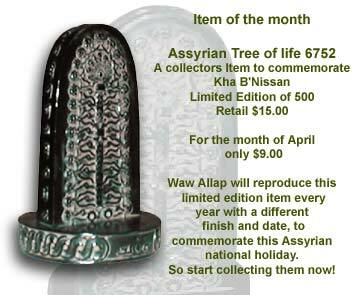 April First is considered a nationalistic celebration for we rarely see an Assyrian who doesn't celebrate it. This day along with Assyrian Martyr's Day (August 07th) [An-Nahar newspaper 09/08/2001] are considered to be a national duty for all Assyrians wherever they are. They provide an occasion to affirm the modern Assyrian existence. 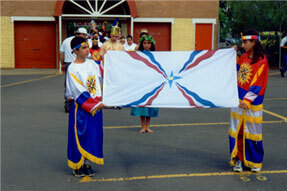 The Assyrian New Year became a point of continuation for the Assyrian national identity over the centuries in spite of all the persecutions the Assyrians faced beginning with the Fall of Nineveh (612 B.C) and the Fall of Babylon(539 B.C) followed by religious persecutions when they embraced Christianity and the organized massacres of the 20th century in Turkey and Iran (1915-1918) and the political persecutions in Iraq (1920-1933). These persecutions continue even today with the policy of Arabization & kurdificaton under the Iraqi regime and the government of the so-called "Province Of Kurdistan". Interestingly both both regimes are founded on the ruins of Assyrian monuments. The Assyrians of today still keep many of the ancient festivals which they inherited from their forefathers even if they are celebrated in simpler ways. 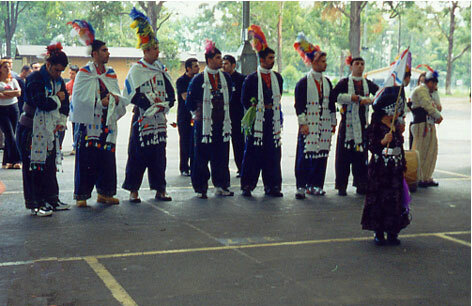 Some of the celebrations (Nusardel, Nineveh Fast) became a part of the liturgical celebrations, distinguishing Assyrians once again from their neighbors, for these festivals are celebrated distinctively by the Assyrians and the Church played a great role in preserving some of the Assyrian traditions over the centuries. The joy of these celebrations has diminished in the Assyrian villages due to the instability and oppressive practices towards the Assyrians where face a war of eradication of their identity in their own homeland. This has also increased their rate of emigration. The greater level of association with people of different cultures in Assyrian and in the Diaspora where they live in areas far from each other has obviously contributed to the dispersion of the Assyrian identity, particularly within the Arab and Kurdish majorities in Assyria. (ZNDA: Prague) A U.S. State Department delegation completed a four-day visit to northern Iraq on 4 April. The delegation, headed by Deputy Assistant Secretary for the Near East Ryan Crocker and North Gulf Affairs Director David Pearce, visited the Assyrian and Kurdish leaders. The delegation may have been around the city of Sulaymaniyah on 2 April when an assassination attempt was made on PUK Prime Minister Dr. Barham Salih. Five of Salih's bodyguards were killed in the ambush outside his house. Dr. Salih is in Washington this week. One Kurdish source says Mr. Crocker "could hear the gunfight very clearly." There appear to be similarities between this assassination attempt and the one carried out in February last year against Franso Hariri - the top Assyrian KDP politician in the region. In both cases, a taxi was purchased two days before the shooting; the same name was used both times to buy the car. Crocker and Pearce discussed Kurdish relations, America's anti-terrorism war in the region, the UN oil-for-food program of which northern Iraq's Kurdish groups receives 13 percent of Iraq's legal oil exports. The State Department officials then toured the area surrounding Fish Khabur. Fish Khabur is strategically on the eastern bank of the Tigris and is the KDP's only connection to Syria. Syria has long opposed building a bridge and so trade is minimal. Fish Khabur remains the main point of entry (by motorboat) into northern Iraq for journalists and employees of nongovernmental organizations. The eight kilometers of territory held by the KDP along the Tigris separates Iraqi government forces from the Turkish frontier. The area -- largely populated by Assyrians and Yezidis and is the site of a proposed direct border link between Turkey and the Iraqi government. Currently Turkey's trade with Baghdad must traverse either KDP or Syrian territory, both governments of which impose tax and customs duties. Any Iraqi military seizure of the Fish Khabur region would mean an Iraqi military bridgehead on the eastern side of the Tigris River, their first in northern Iraq. The American delegation also met with Mr. Yonadam Kanna, General Secretary of the Assyrian Democratic Movement. The details of this meeting were not reported to Zinda Magazine at press time. April the First - the mezalta [parade] through Noohadra [Dohuk]. "The New Year celebrations were a riposte to those who are trying to break our nationalistic spirit and our unity." In a massive sign of unity and brotherhood, over 25,000 Assyrians of all denominations and all backgrounds march through the streets of Noohadra to celebrate Kha B'Neesan. In an equally significant sign of harmony, the Kurds and Yezidies join in the festivities. This year the Assyrians came from Baghdad also -- an important symbolic move. Dubbed the "purple parade" - for the bright purple ADM flags flooding the streets - it's not an over-exaggeration to say that there would not have been such a parade through the streets if it weren't for the organisational skills of the ADM. The celebrations move to an ex-military airport in Ankawa. Early light rains weren't enough to hamper the mood and Shamiram, Ramsen Shino, John Dashto and Laith Yousif gave it their best as thousands of Ankawans flooded the airfield and pushed their way right up to the makeshift stage. Unfortunately, the concert was cut short as Laith Yousif's booming voice blew out the system's amps! Problems with electricity are a very common occurrence in North Iraq. Black-outs occur a number of times a day and power fluctuates continuously. The day started with a visit to the Ministry of Industry and Energy, whose Minister is an Assyrian, Mr Younan Hozaya. After a brief run down of the Ministry's activities, we were taken next door and were able to purchase some beautiful Assyrian rugs. At around $US30 for a 100cm x 50cm carpet, the only limit was how many we could carry!
. John Dashto was also seen to shed a tear. The ex-principal of the school told us that he still cries whenever he sees the children sing "Roosh Jwanqa!" The evening's concert took place in Shaqlawa, a gorgeous Assyrian town set in rolling hills a one-hour drive from Arbil. From an ex-military airfield to a little church this time - the singers were certainly kept interested by the venues! While not a part of the Kha B'Neesan festivities, it was an opportune time for the First National Media Conference, as representatives from most countries of the Diaspora were present. Yosip Bet Rasho, publisher of The Assyrian Times in Chicago, organised this very important and significant event in Assyrian media history. Its main purpose was to try to get the various forms of media around the world connected, so that every Assyrian in any part of the world knows what is taking place in the homeland or the Diaspora. The meeting was held over three days. Day One took place in Arbil and titled the "Status of our National Media and Development Horizons". Eight speakers from around the world gave their thoughts. Shlimon Abu Tariq from Syria felt that media is of the utmost importance, stating that America's strength, for example, lay not just in its military, but perhaps more importantly its media. The Assyrians are militarily weak, but can be an effective force if their media is strong and linked worldwide. Narsai Warda, chief-editor of the ADM's Bahra newspaper, said that Assyrian media in Bet-Nahrain, while relatively better than 10 years ago, is still far behind North Iraqi standards. For example, there are 400 Kurdish newspapers and magazines, and only 6 Assyrian (Bahra - Arabic and Assyrian, Mezalta, Banipal, Nahrenita and Kikhwa d'Bet-Nahrain); 20 Kurdish TV centres and only 2 Assyrian (Ashur TV in Arbil and Dohuk); 10 Kurdish Radio centres and 4 Assyrian (Ashur Radio in Arbil, Dohuk and Zakho and a Short Wave radio station in the village of Kore Gavana). Assyrian media still hasn't been used as an effective tool to undo political problems in the region, he added. the Media Conference continues in the morning; the second concert in Ankawa. Over forty representatives of various forms of media from Bet-Nahrain, Syria and Iran gave a brief run down of themselves and their organisations. Some of the representatives from the Diaspora were Zinda Magazine, Urhai Club in California, The Assyrian Times, Nakosha Magazine and Assyrian World TV. The people of Ankawa got another chance to see the singers without interruption again in the Ankawa Hall later on that day. The concert ran without electrical disruptions this time! Ankawan artist Dalzar Isaac presents the singers with gifts; the party moves to Aqra. Assyro-Chaldean artist Dalzar Isaac took us through some of his latest works, various subjects painted on a black background with gold paint.
. The amazing concert in the cave at Ineshke. The acoustics of the cave surprisingly proved perfect for a concert! .. which continues late at night back at the Jiyan Hotel in Dohuk. The artists were reaching exhaustion point, with a week of just about continuous concerts. Despite this, and John Dashto's bad cold, the singers continue the concert. "I'm here to sing!" said Ramsen Shino, showing no signs of fatigue despite the rigorous programme. the final day of the Akitu festivities at the Al-Jazeeri Hall coincides with the 23rd anniversary of the ADM.
We hope that all our national festivals will, in the near future, be celebrated in Nineveh and Baghdad and other regions in our homeland. While taking part in our blessed festival, you all saw very large groups of our people in the "purple parade", thousands and thousands of the sons and daughters of our Assyrian nation from all parts of our motherland and from the Diaspora, showed their love for the Assyrian nation, this country and the ADM - carrying flags, hugging closely to the nationalistic Assyrian path, they were all inseparably connected by a common sacred goal and by the New Year parade. .. The New Year celebrations were a riposte to those who are trying to be zeewana and by-standers, to be used by others to break our nationalistic spirit and our unity. And at the same time you saw how the dear Kurds and Yezidies of Noohadra took part in our happiness by joining in the New Year parade with joy and respect. This cordial relationship is one of the positive results that comes from the brotherly, historic ties between the Assyrians and the Kurds. Similarly, it is one of the satisfying outcomes of our beliefs in the principles of the ADM and friendly Kurdish political groups that believe Assyrians are equals in this part of our motherland, just as we are equals with our brotherly nations - Arabs and Turkoman. On this sacred day, the celebration of the 23rd year of the ADM, it is imperative that we have a look at positive results in the field of Assyrianism, as from day to day nationalistic feelings are on the rise and political work is maturing - to the point, in fact, where the Assyrian Coalition was born in the summer of 1999. This Assyrian Coalition has taken on a great responsibility in the Assyrian national struggle and we are hopeful that it is successful in creating those ties that contain all our abilities and make our future brighter. On the other hand and in the short time of its patriotic struggle, the ADM was able to strengthen the foundation stone of good bilateral relations with various Iraqi and Kurdish political groups and movements, and take a proper place for our people in all the phases of our struggle, from the days of the Armed Struggle [of 1982 to 1991] and great sacrifices, above all, our martyrs - Yosip, Youbert, Youkhanan, Francis Shabo and Peris Sliwo and other immortal martyrs, whose martyrdom is and always will be a candle lighting the path of our struggle. Our march has continued forward until these last 11 years in Iraqi Kurdistan among which the Assyrians made their decision in 1992 and chose ADM's representatives to become the official and legitimate representatives of the Assyro-Chaldean people in the Regional Parliament. And we were able, along with friendly Kurdish parties, to gain some of our cultural and educational rights and political freedoms in this region. At the same time, in this period our people returned to their historic lands, rebuilding our ancestral villages and a colourful tapestry of cultures came back to our country. We are very pleased with what we has been achieved until now, but still we have a lot to complete and issues to resolve. The ADM will always be bound to the cause, the Assyrian question and interests and its free will, and the love of our people for Zowaa will never be taken away from us. The load of the Assyrian question in the homeland is not just the ADM's duty or the responsibility of political parties or of the Assyrian Coalition. Rather, it is the duty of all those who feel a connection to the much admired Assyrian nation and are proud of it, wherever they may be from, whatever church they may be from, whatever name they may call themselves. United we will be strong and respected. Especially at this critical stage - one where political change is to become imminent reality - it is crucial that we organise ourselves, so that our Assyrian nation will hold its rightful position in the Iraq of the future, a democratic Iraq after the end of the current dictatorial regime. I'd like to end by confirming once again our promise to our dear nation that we will always be true to the path of our martyrs with our persistent national march towards the gaining of our legitimate national rights. Again, may your Assyro-Babylonian New Year and ADM Anniversary be blessed. Long live the Assyrian Coalition. Long live the Assyrian Democratic Movement. Glory and honour to our immortal martyrs. 9th April 2002, Akitu 6752. Notes: zeewana: weeds that grow along with wheat and turn the flour bitter. the singers are farewelled, as they head off to continue the rest of the Akitu Fest in Demascus, Syria. (ZNDA: San Jose) A fire destroyed the Antiochian Orthodox Church of the Redeemer, built in 1985 off Interstate 280 on Magdalena Avenue in Los Altos Hills, California last Sunday, 7 April after 4:30 a.m. The police report indicates that the fire was deliberately set, but it is unclear whether it was a target because its parishioners are predominantly Arab American. The fire was set from inside the approximately 5,000-square-foot church using ignitable liquids. No one was injured or killed. Rep. Anna Eshoo, D-Atherton, a co-sponsor of recent hate-crime legislation, said last week that she is donating $5,000 to a reward fund. Likewise, Santa Clara County Supervisor Liz Kniss is successful in asking her colleagues to approve $10,000 for the cause. The federal Bureau of Alcohol, Tobacco and Firearms has added $5,000 to a reward for information leading to an arrest and conviction in the arson fire. The reward now totals $20,000. In addition, Crime Stoppers will pay $1,000 for any worthwhile tips. Eshoo and other Bay Area lawmakers wrote to Attorney General John Ashcroft and U.S. Treasury Secretary Paul O'Neill, urging them to pursue a full federal investigation. Eshoo attended services at the church last Sunday, which were held outdoors and in another building on the property. "This underscores the great tensions that are going on in the world right now, and we are not free of that," said Eshoo, who also is calling for donations to rebuild the church. A handful of congregants gathered at the church to hear whether their house of worship had been taken from them purposely. The Rev. Samer Youssef, the pastor, appeared dazed by the news. "I'm very sad to hear the fire was intentionally set," he said. "What kind of human being would demolish and set fire to the house of God? It is very devastating to us as a community." The church's membership numbers close to 200 families, many of whom are from Palestinian territories, Lebanon, Syria and Egypt. It served as a meeting place for the Arab-Jewish Dialogue of the South Bay, an interfaith group for those hoping to promote peace, though the church was not an official sponsor of the group. Some congregants, who had hoped the fire was accidental, said they now want to believe the act was not a reflection of Middle East tensions between Palestinians and Israelis. "I try to believe the best in everybody," said Hanan Joy Ghanaim, 35, of Morgan Hill, a youth counselor at the church. "There's part of me that wishes to feel that this was just somebody who was disturbed." Ghanaim said she felt a particular loss because she had associated the church with her father, whose funeral was held there two years ago. "That was my last sight of him," she said, her diamond cross necklace glittering against her blouse. "I have a lot of memories here." Samer Bahou, 29, of San Jose also serves as a youth counselor at the church. On Sunday afternoon, he and his colleagues will try to explain the situation to the children. "We will tell them the Christian way is to forgive, not to hold hatred in your heart," Bahou said. He gestured toward the burned- out building: "That's just a wooden altar. The real altar is inside each of us." Anyone with information about the fire is asked to call the ATF office in San Jose at (408) 535-5015, the Santa Clara County Fire Department at (408) 341-4401, or Crime Stoppers at (408) 947-7867. Donations to the church rebuilding fund may be sent to the Antiochian Orthodox Church of the Redeemer Reconstruction Fund, account No. 2476205441, Bank of America, 19376 Stevens Creek Blvd., Cupertino, CA 95104; or to the Antiochian Orthodox Church of the Redeemer Restoration Fund, 380 Magdalena Ave., Los Altos Hills, CA 94024. (ZNDA: New York) A delegation of prominent U.S. Protestant, Orthodox and Anglican church leaders, including the Syrian Orthodox Church, are visiting the Middle East this week (April 16-27). Planned for several months, the trip is "all the more urgent" given the deepening crisis, said the delegation's leader, the Rev. Dr. Bob Edgar, General Secretary of the National Council of Churches. The NCC - whose 36 member denominations comprise 50 million adherents - organized the visit by invitation of the Middle East Council of Churches and Jerusalem church leaders. Co-leader with Dr. Edgar, a United Methodist, is Elenie Huszagh, a Greek Orthodox layperson from Nehalem, Oregan. Acknowledging the security concerns, the delegation nevertheless intends to fulfill as much of its planned itinerary as possible. "We intend to meet with our Christian partners in both Israel and Palestine," Dr. Edgar said. "We go to offer pastoral support for Christians in the Holy Land; seek ways churches in the U.S. and Holy Land can promote a just and lasting peace between Israelis and Palestinians; encourage Christians, Jews and Muslims working for peace, and bring our ecumenical witness to U.S., Israeli and Palestinian political leaders," he said. The group will meet with clergy in each country and expects to meet with several high-level political officials, including Syrian President Bashar Al Assad and Lebanon's Prime Minister Rafiq Hariri - -- who will have just returned from Washington, D.C. The delegation also intends to meet with Israeli and Palestinian government officials and with the U.S. Consul General in Jerusalem, and hopes to visit Israeli and Palestinian wounded and bereaved. The group's first full day (April 18) will be spent in Istanbul with Armenian and Syrian Orthodox church leaders and with His All Holiness Bartholomew, Ecumenical Patriarch of Constantinople, spiritual leader of more than 250 million Orthodox Christians worldwide. The group is to go on to Beirut (April 19-20), Syria (April 21-22) and Jordan (April 23), then spend April 24-27 in Israel/Palestine. Delegation members are: Rev. Janet Arbesman, Presbyterian Church (U.S.A.), Scottsdale, Ariz.; Bishop Vicken Aykazian, Diocese of the Armenian Church, Washington, D.C.; Mark Byron Brown, Evangelical Lutheran Church in America, Washington, D.C.; Dr. Edgar; Rev. Dr. James A. Forbes, Jr., Senior Minister, The Riverside Church, New York City; Rev. Joseph Rice Hale (United Methodist), Former General Secretary of the World Methodist Council, Waynesville, N.C.; Mrs. Huszagh; Rev. Robert S. Jones, National Baptist Convention U.S.A., Inc., West Chester, Pa.; His Eminence Cyril Aphrem Karim, Archdiocese of the Syrian Orthodox Church of Antioch for the Eastern United States, Teaneck, N.J.; Rev. William Shaw, President, National Baptist Convention U.S.A., Inc., Philadelphia, Pa.; Rt. Rev. Arthur Edward Walmsley, The Episcopal Church, Deering, N.H.; Rev. James Wetekam (United Church of Christ), Media Program Director, Churches for Middle East Peace, Washington, D.C., and Mr. James Edward Winkler, General Secretary, United Methodist Board of Church and Society, Washington, D.C.
(ZNDA: Cairo) The Coptic monasteries of Egypt were plundered by the Victorians for their priceless early manuscripts. Now the texts are being restored and reunited - as a virtual collection. One day in March 1837, the British bibliophile Robert Curzon descended a narrow staircase to the olive-oil cellar of an obscure monastery in the Egyptian desert. Guided by a blind abbot and his monks, Curzon finally stood amid huge vases used for storing oil. He was dejected, since he had little hope of unearthing any more priceless Christian manuscripts, as he had done elsewhere, in this Coptic convent of Deir-el-Suriyan, but he pressed on. "Taking the candle from the hands of one of the brethren (for they had all wandered in after us), I discovered a narrow low door, and, pushing it open entered into a small closet vaulted with stone which was filled to the depth of two feet or more with the loose leaves of Syriac manuscripts which now form one of the chief treasures of the British Museum," wrote Curzon in his book Visits to Monasteries in the Levant. "Here I remained for some time turning over the leaves and digging into the mass of loose vellum pages; by which exertions I raised such a cloud of fine pungent dust that the monks relieved each other in holding our only candle at the door, while the dust made us sneeze incessantly as we turned over the scattered pages of vellum." It is a resonant story: from the dusts of the desert an Englishman retrieved ancient manuscripts just before they were lost forever. Curzon thereby liberated this haul from Egyptian monks who seemed not to know or perhaps not to care about their worth - or at least so he liked to suggest in his whimsical book. There is much here to allow us to imagine Curzon as a bookish Indiana Jones or one of those historical tomb raiders who secured Egyptian artefacts for posterity by taking them from their homeland and back to Bloomsbury for safe keeping. There is enough, too, in Curzon's narrative to keep devotees of Edward Said's Orientalism in business for years deconstructing the westerner's colonialist appropriation of this rich eastern heritage (indeed there are several critiques of Curzon's Visit to Monasteries in the Levant in this vein). But why were the manuscripts that Curzon found so important? For ignorant westerners, they give a strong indication of the eastern roots of Christianity and of the riches of eastern Christian literature. What Curzon had stumbled across were priceless examples of some of the earliest dated books in existence, complete-bound Christian texts as well as fragments, most written on vellum in ancient Syriac - a language now known by only a few scholars in the world. Many of these works had been brought to the monastery in the eighth century by monks fleeing from religious persecution in their homelands of Baghdad and Syria. These monks settled in Wadi al-Natrum, a celebrated centre for Christian ascetics, the so-called desert fathers, in which the monastery of Deir-el-Suriyan is located. The books they brought made the monastery's library remarkable even by Egyptian standards, and it was swollen later by donations of collections amassed through the eastern Christian world. The books Curzon found included fourth-and fifth-century gospels, lives of the saints, theological writings, and doctrinal disputes. There were palimpsest fragments too: in one a transcription of Homer's Iliad, for example, had been overlaid by sacred texts. Some pieces of vellum had been used and reused three or four times, and the traces of original texts could still be detected. Curzon, and later British bibliophiles, bought up as much as he could and arranged for his purchases to be collected and sent to London. Even before he unearthed the ancient treasures in that dusty cellar, Curzon had agreed prices with the monks for other ancient Christian books he wanted to take back to London. These included superb illuminated gospels, often in parallel texts of Coptic and Arabic, now kept at the British Library at St Pancras. These Coptic works are much later manuscripts than the Syriac texts, but Curzon discovered them in similar disarray in a small room of the monastery's great tower. "Most of these were lying on the floor, but some were placed in niches in the stone wall. One of these was a superb manuscript of the Gospels, with commentaries by the early fathers of the church; two others were doing duty as coverings to a couple of large open pots or jars. I was allowed to purchase these as they were considered to be useless by the monks, principally, I believe, because there were no more preserves in the jars." In total, Curzon negotiated the purchase of 600 manuscripts for which he paid £350. But the story gets better. On his return to London, Curzon and other like-minded bibliophiles applied to the trustees of the British Museum for Treasury money and secured another trip to buy up the rest of the monastery library. By now, though, German biblical scholars had got wind of spoils to be had and arrived in Egypt to make their own purchases. The race was on to empty Deir-el-Suriyan of its treasures. This prompted Curzon's British associates to hire one Auguste Pacho, a globe-trotting, multi-lingual Egyptian seeking confidential employment, to acquire what manuscripts remained at the monastery at the Treasury's expense. According to William Wright, a late 19th-century assistant keeper of manuscripts at the British Museum: "[Pacho] swept up every fragment from the floor of the library, sought out scraps that might have been conveyed to other apartments, superintended the packing of the books in person, and took every precaution, which the greed or superstition of the monks could suggest, to secure even the last remnant of their treasure." All well and good, but the British Museum's confidential agent didn't hand over all the spoils to his paymasters in London. Pacho instead withheld four bound manuscripts which he sold to the Imperial Public Library of St Petersburg for 2,500 silver roubles. Other manuscripts from the monastery have since turned up at the Bibliotheque Nationale in Paris, where Pacho dallied for a while before arriving back in London; still others were reported circulating in Cairo and Alexandria before being sold to the Royal Library of Berlin. The result of these years of buying and selling ancient Christian texts was that the monastery's collection was dispersed throughout the world. The diaspora of Egyptian artefacts was one of the key consequences of the European plunder of Egypt set in motion with Napoleon's invasion. In the case of Deir-el-Suriyan's manuscripts, many are now held in libraries in Britain, Russia, France and Germany. 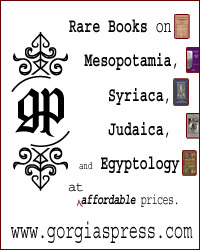 Even so, the Egyptian monks managed, despite Pacho's eagle eye, to retain a great many literary treasures. Only now is there a chance that the treasures of the Deir-el-Suriyan monastery will be reunited - but only virtually, thanks to a project that involves British Library conservationists working in collaboration with Coptic monks. Both the library's and the monastery's collections of Coptic and Syriac manuscripts are to be digitised and put online for scholars to study. In future, it is hoped that all the manuscripts taken from the Deir-el-Suriyan monastery will be digitised in this way. But why did the 19th-century Coptic monks not appreciate the literary treasures when Curzon paid his visit? Why did they use priceless manuscripts as stoppers for olive-oil jars? One suggestion comes from William Dalrymple's recent threnody for Eastern Christianity, From The Holy Mountain. It is that these men did not hold the written word in high regard, and in this they were following their most illustrious ancestors. In any event, today's Coptic monks are an extraordinary people with a singular heritage: arguably one of the most anthropologically pure races in the world, the Copts can trace their bloodlines back to the pharaohs. They thrived in Egypt long before a seventh-century invasion made the country overwhelmingly Arabic. As Dalrymple points out, the same tongue that has sung the praise of a Christian God for more than 1,500 years had been used in the great Pharaonic temples of Thebes to praise Isis and Horus for the 3,000 years preceding that. Of all the sacred languages in the world, only Sanskrit has comparable antiquity. "It is a strange and exotic language," reported Dalrymple after attending vespers at the Coptic Orthodox monastery of St Antony the Great near the Red Sea coast, "whose elliptical conflation of syllables sounded as though they had been specially designed for the uttering of incantations." But whence the contempt for literature? This was due to Saint Antony, the Coptic farmer who fled Alexandria for the desert in the third century and thus gave birth to Christian monasticism. Saint Antony and the monks who followed him into the Egyptian desert were rejecting everything that Alexandria stood for: luxury, elegance, sophistication, writes Dalrymple. Instead they cultivated a deliberate simplicity - sometimes even a wilful primitiveness - and their way of life is reflected in the art and architecture. This simplicity, in St Antony's case, extended to books: he said that in the person whose mind is sound there is no place for letters. There is much in Dalrymple's account of these ascetic, world-weary monks. For instance, the tradition of hermit monks retreating to caves which they had dug for themselves in the desert is still prevalent among modern Coptic monks: a retreat from the luxury and indulgence of the world seems still important to them. But the contempt for the written word has not survived. Today's Coptic monks are highly literate - most are university graduates - and since Shenouda III became the 117th Pope of Alexandria and thus head of the Coptic Church in 1971, much more concerned to safeguard what remains of their literary and artistic heritage. As a result a host of European conservationists - mostly Dutch or Polish, but some Britons - have been unleashed on the monasteries of Egypt to restore paintings and manuscripts, as well as monastery buildings themselves. One such monk is Father Bigoul el'Suriany, who is library curator at Deir-el-Suriyan. A cultured, multi-lingual chemistry graduate, Father Bigoul this week returned to his monastery after spending three months in Britain learning conservation skills at the British Library, the Royal Library at Windsor and the Wellcome Trust library. He was appointed curator because it was thought his scientific training would prove useful in helping him to learn parchment and paper conservation techniques quickly. He hopes to use the skills he has learned here not only to restore manuscripts himself, but to spread his practical knowledge throughout his monastic community in Egypt. In this he will be helped by Elizabeth Sobczynski, a British-based freelance conservationist specialising in works of art on paper (she has, amazingly, been working recently on both Andy Warhol's paper works at Tate Modern and on old Coptic manuscripts at the British Library), as well as David Jacobs, senior conservator at the British Library. It is Jacobs, whose current work for the library involves pigment analysis of the Lindisfarne Gospels, who is behind the project to digitise the manuscripts. Jacobs will visit the Deir-el-Suriyan monastery next month to start the digitisation project alongside Father Bigoul. Father Bigoul's stay in Britain gave him the opportunity to peruse for the first time the British Library's collection of manuscripts taken from his monastery. It proved a moving experience. "I was so glad to see these manuscripts still alive and well in the British Library. Also I loved to smell these books - they have the smell of our ancient desert fathers. When I open these books, I feel at home. It's just the same with our collection at Deir-el-Suriyan: my work there gives me the opportunity not only to read the texts and learn about the monastic lives of the desert fathers, but to be blessed by these books. "People have been asking me if I am offended that these manuscripts are still here in Britain. But I am not offended. They have been conserved so well and through the digitising we can link the collections. It doesn't matter where they are housed." In a conservation room in the British Library, Father Bigoul showed me an illustrated symbol painted in gold leaf on a page of the Gospel according to Saint John, written in Coptic. "That symbol is a conflation of the Coptic word for God," he says. "And the symbol is used in our architecture." He then proceeded to draw in my notebook a Coptic archway surmounted by a cross with masonry work: the result resembled the symbol for God in the margin of the text. This, he said, "is what the doorways to our monasteries look like. The name of God is written in this way into our buildings." So great was the historic persecution of the Copts that they had little need for such gateways for thousands of years. Instead, guests to monasteries would be winched over high-security walls by means of ropes, or by hoisting them in chairs. Only much later, when monks felt less threatened, were front gates constructed. The Copts have endured much persecution since the apostle Saint Mark founded the Coptic church more than 2,000 years ago and it continues today in modern Egypt. Monks, to be sure, are not the only victims, but the Coptic minority of about three million people, or 6% of this mainly Arabic republic, has suffered from the rise of Islamist militancy. In 1992, 14 Copts were shot dead in Asyut province for failing to pay protection money. In 1994, the Coptic monastery of Deir ul-Muharraq was attacked by militants who shot two monks and two lay people dead at the monastery's gate. And in February of this year, Copts' homes, cars and churches were burned in the Al-Minia district. But the Coptic church has pressed on with strengthening its heritage - often backed by dona tions from around the world. The restoration project under way at Deir-el-Suriyan in collaboration with British Library conservationists continues an ancient link between the Coptic church and the British Isles that some argue goes back nearly two millennia. Egyptian pottery has been found at Tintagel in Cornwall, said to be the seat of King Arthur, which is believed to have been brought over by Copts. Scholars, as well as writers such as Dalrymple, insist on the close connection between Coptic iconography and that of the Pictish sacred artists. Most suggestively, the Irish Litany of Saints remembers the seven monks of Egypt who lived in Disert Uilaig on the west coast of Ireland. Maybe it was these Copts who brought Christianity to these islands for the first time. But the conservation projects currently taking place at the Coptic monasteries in Egypt are not uncontroversial. The Egyptian government hopes that the monastery will donate its manuscripts to a new national library being built in Alexandria, a reconstruction of the legendary library founded by Alexander the Great which, at its height in the third century BC, housed some 700,000 papyrus manuscripts including works by Plato, Aristotle, Thucydides, Sophocles, Euripides, Hippocrates and Euclid. But there is resistance among the monks. They want to restore their monasteries and keep what is left of their treasures intact. There has been a massive revival of monasticism in Egypt under Shenouda III. Many ruined monasteries are being brought back into use and monastery buildings being improved. On Monday, Father Bigoul was clearly anxious to return to his home, to get away from the rush of London to the relative peace and quiet of his monastery. Does he ever imagine retreating from this troubling world into a contemplative hermetic existence - as his ancient predecessors did when they left the decadence of Alexandria? "My duties to the library make that impossible now. But I have spent much time in the past retreating into my cell. There are still many caves into which monks retreat, and where many live in their solitude. Even Pope Shenouda has a cave 10km behind the monastery where he retreats from time to time. And sometimes, yes, I do think about this life for myself, to live as many of the old fathers of the desert did." (ZNDA: Sydney) Liquidators Horwarth will issue a report to the Karl Suleman Enterprizes' creditors by the end of April 2002. A total of more than 12 persons have had their assets frozen in relation to the matter and the report will reveal to the creditors how much money is likely to be recovered from the failed businesses, including the Internet service provider Froggy. More than 2,000 investors are creditors and have claimed losses of sixty Australian dollars. Horwath previously estimated creditors were likely to receive twenty-five Australian cents per dollar invested. (ZNDA: Melbourne) The Australian Industrial Relations Commission has ordered a plastics company to reinstate Mr. Emil Warda, a sacked supervisor. The Commission called Foster Plastics Industries' human resources relations "barbaric" and also ordered the Melbourne-based company to pay Emil Warda, sacked in October 2001, in excess of $A 18,500 in lost wages. Commission member Domina Whelan said there was little evidence to substantiate the company's allegation that Warda had used threatening behaviour towards his working colleagues to encourage them to join the Australian Workers Union and to bring up health and safety issues at the company's plant. (ZNDA: San Jose) Last month a group of Assyrian youth working with the EastJam entertainment company debuted a web site dedicated to the game of basketball in the Assyrian communities. A professionally designed Internet site, www.assyrianbasketball.com is a grassroots effort to put basketball on the pedestal and create an active and peaceful community for all interested in the Assyrian basketball games and tournaments. As is clearly evident in the sports programs of the Assyrian conventions and Olympic games in California, the popularity of the "Assyrian hoops" is growing as the basketball events keep getting bigger and better. Mr. Benjamin Aziz tells Zinda Magazine that "this is a way to keep the interest fueling to create a better atmosphere." Mr. Aziz coaches a team in Modesto, California. Independent Assyrian teams, such as the one coached by Mr. Aziz are not allowed to participate at the Assyrian state and national conventions, whereby only teams from the affiliates of the Assyrian American National Federation and the Assyrian United Organization of California can join in. Mr. Aziz hopes that "with the contribution of the site to the community, its effects can be appreciated and the bureaucracy that we have been dealing with for months now trying to get our guys in these tournaments can somehow vanish." (ZNDA: New York) "The Scorpion King" is a new PG-13 guy-flick film featuring the pro-wrestler The Rock with lots of flying swords, arrows, snakes and punches. The Rock stars as Mathayus, one of the last survivors of an ancient race of Akkadian assassins. Mathayus is hired by ravaged tribes to kill the sorceress Cassandra (Hu), whose advice has helped the evil warlord Memnon (Steven Brand) drive his opponents to near extinction. Yet Cassandra proves strangely sympathetic to Mathayus, who, after a series of daring escapes from Memnon's thugs, kidnaps the sorceress and flees with her into the desert. They wind up as allies in the fight against Memnon, aided by the Nubian behemoth Balthazar (Michael Clarke Duncan), inventor Philos (Bernard Hill) and comic-relief geek Arpid (Grant Heslov). "After a hard day of looting and pillaging, there's no greater city than Gomorrah," Arpid proclaims as he and Mathayus approach the sinful city. "Except maybe Sodom." "The Scorpion King," is a Universal release and is rated PG-13 for intense sequences of action violence and some sensuality. Running time: 91 minutes. "A great challenge that faces Asia is to collectively speak to the world and jointly contribute to world prosperity. Asia comprises approximately 60% of world population. As a force for world growth, we hold a critically important position in the global economy. It is vital for the management of the global economy that Asia's message be clear and responsible. It is said that the word "Asia" has its origin in "asu," which means "sunrise" in Assyrian. Asia is different from the Americas or Africa, which are independent continents. Asia not only spreads across a large part of the Eurasian continent, but also has links to other regions through sea routes. Therefore cooperation in Asia inevitably stretches to worldwide cooperation." "I have read your article regarding Iran's leader met the Assyrian representative Mr. Yonathan Bet-Koulia. Mr. Bet- Kolia Should have discussed the article titled, "Views on Cleanliness of the people of Book", published in Tehran Times couple of weeks ago. The Tehran Times (an intellectual newspaper under Shah) is a semi-official, very conservative English-Language newspaper under the influence of the office of the Iranian's Supreme Leader. The article, citing interpretations of the Koran by important Islamic scholars, called for tolerance, arguing that Jews and Christians are not inherently unclean, just episodidically unclean. For example, the article made the point that it is perfectly acceptable for a Muslim to shake the hand of a Christian or a Jew-so long as the Muslim first covers his hand with a cloth. "But if his hand touches yours," the scholar concluded, "wash your hand." I wonder what Mr. Bet-Kolia has achieved for Assyrian's minority if he can not discuss things like that frankly with Mr. Khatamie, the President of Iran." "I ask you Ladies and Gentlemen, the majority of Assyrians and all of our organizations in the United States are aware of the deplorable conditions of our people in Garbia. They also know what the Assyrian Aid Society both in Iraq and in the United States have achieved by successfully completing many projects in the field of education, medical assistance, housing, etc. The same applies to the ATRA project which in less than one year has helped hundreds of Assyrian families in replanting their fields and orchards. Through these agricultural and irrigation projects they will begin to generate income to support them and become economically independent. With this given knowledge, one would think that every Assyrian and Assyrian organization will step forward to make a financial commitment to help these people. We are not talking in thousands of dollars; we are asking for a minimum of $20.00 per month per family or a couple thousand dollars annually from Assyrian organizations. Unfortunately, the number of regular supporters is very little and the number of organizations is even more miniscule. We have one exception only, The Assyrian Foundation of America which has donated in tens of thousands to both the Assyrian Aid Society and the Atra project. The common response of individuals when asked to contribute is, "let me think about it." The common response of the organizations is, "we have other commitments and we just can't do it now." I wonder when we go out for a lunch or dinner or have a drink with friends, how much thought do we put into it when we order our meal or drink. Somehow, we seem to have money for eating out, drinking, entertainment, gambling, etc. but we always are short of cash when it comes to helping a fellow Assyrian who is barely surviving in such deplorable conditions. I also wonder what are these great projects that our organizations have committed to that they cannot spare a couple of thousands a year to this great humanitarian cause. We must remember, whatever our organizations build in Diaspora, it is built on sand. It will not preserve our language and national identity. The people in Bet Nahrain and especially those in Garbia are the only remaining roots of this nation. Unless we look at this matter seriously and open our hearts and pockets to assist these people, it will be a matter of few years, they will be forced out of their homeland and we will all become extinct as a nation. Now, I ask you Ladies and Gentlemen, when are you going to do your share to preserve our national roots in our homeland? " abroad and even back home select the best individual person in all the fields that serve our Assyrian community and honor them for their accomplishments. In a conversation with famous Assyrian poet Mr. Ninous Nirari about this matter, he was pleased and wishes that all our Assyrian organizations follow in these footsteps for the future. We hope to hear from you regarding this matter so that we can be more organized in selecting our honored Assyrian candidates for the upcoming year. "Are you aware of the way they are running their TV programs? The news is not updated and the person has not a good command of the English language. The speaker or the announcer is so ignorant that during the weak of September 11 for example when every American or non American TV was sending their condolencess to the family of World Trade Center victims, she wished every one a nice week. Young Assyrians in that program not dressed appropriately (sometimes dressed as gang members) and in poor Assyrian language call other Assyrian youth to unite. Last but not least every month that program is costing members over one thousands dollars which I call a waste, that kind of money could be spend for a much better cause. Of course they have their votes by calling all their relatives to the meeting, even if the administration was not elected but selected by their relatives because the good and educated members left that place long time ago." "First I would like to congratulate all Assyrians for the New Year, and wish them all prosperity and advance. I had read few weeks back in your respected magazine, about an issue that keeps coming back, and I believe it is really a hot topic and needs to be addressed. And that is the issue of the church and the people representing it and how we need to deal with them both. I have some reservations about some people like Mr. Peera when they think they have the authority to implement their limited, old fashion way of thinking on all of us, and who ever does not agree with that way of thinking, should be silenced. As he tried to blame Zinda for publishing the diverse ideas of its readers and that is not necessarily what Mr. Peera agrees with. 2. For Mr. Peera and those who follow his line of thinking, being a member in the management of the church's affairs does not give any person rights more than any other church member, when (Mr. Peera questioned the person he was criticizing, and tried to give the idea that such person does not exist or he is not a church member) wake up Mr. Peera, and open your eyes wide.. We cannot call ALL the clergy men as "HOLLY FATHERS". And readers do not need to be reminded what some of those so called "HOLLY FATHERS" had committed against God, church and finally against Assyrians by getting their names published in wide spread papers, for having their names associated with "UNHOLLY RELATIONS" with women, and no Assyrian in USA or around the world had heard what Mar Aprim had done.. So how can I call this person "HOLLY FATHER", the same thing happens in Australia, as Mar Meelis has his name associated with "Eva" as they have property bought by them and the documents are ready for any one who is in doubt and is issued from Council Authority that cannot be denied. So how can we call Mar Meelis "HOLLY FATHER" not to mention other things that discredit him from such holly name, such as having shares in Froggy company which these shares were supposed to be donated to the church but ended under his personal name, and when questioned, Mar Meelis blamed the people who tried to uncover his involvement in Froggy and with Karl Suleman. nothing to be hidden from the public just because that person or persons held a certain position or rank. The names of the individuals being recommended for consideration are to be invited to a Conference in Washington. Submit all the names to the Regional or Central Offices listed below by April 30, 2002. This information will then be forwarded for acceptance to participate in a Conference that will take place in May or early June 2002. While the international community focuses its attention on the crises in Afghanistan and currently in Israel - Palestine, the Turkish administration takes advantage of the situation to accelerate the cruelties directed to the remaining few Christian inhabitants. The EU-candidature of the country seems not to be a restraining factor. It looks like that Turkey, with its 99 % Islamic population, is determined on ousting its ethnic minorities with Christian denomination from its territory, homeland to these people since thousands of years, well before the territory became homelands to Turks themselves. The Roman Catholic Church Saint Antuan in Icel (the former Mercin) was taking care of 7 children who were either orphans or were belonging to families weighted with unbearable economical and social burdens. This care was supported by an official resolution from 1991, which meant that these children were offered meals, accommodations and cloths by the church. The children went to the common Turkish school for their compulsory education. By a resolution dated November 29, 2001, with immediate effect, this charity action has been forbidden without previous notice. No motivation to the resolution has been given. The church was even forbidden to have any helping operations, involving these children, in the future. The resolution includes a prohibition of other persons presence in the property of the church than the clergies, effectively banning visitors, and tourists. The church protested against the resolution not the least because there are no other places for the children to go. Unfortunately, the protests did not led to any change. The Turkish police executed the resolution on March 30, 2002 by forcing the children away. Besides that, the Turkish police threatened the monk Giorgio Bruno Simonelli that any spreading of information around the world on this event will lead to punishments. A copy of the resolution (in Turkish) is available. The consequences of the decision, for which the Turkish government carries the full responsibility, are that the children are living as street urchins without any caring hands or homes with responsible adults. It is obvious that this situation does not offer any future for these children. Previously, the Vali (Mayor) of Icel has closed a Protestant church in Icel. Turkey is a candidate country since 1999 to join EU, with a dark history on its responsibilities against its Christian minorities and with a line of actions showing that even today it does not tolerate a Christian church to take care of orphans or homeless children. How can the European countries accept Turkey as a candidate land and expect that Turkey will adopt the norms of the European Union, when the Turkish governments do not hesitate to persecute children belonging to the Christian minorities? We appeal to You, the Parliament Members, not to accept crimes against human rights and see to it that Turkey nullifies its resolution directed against helpless children immediately and give the children the right to go back to the church. The Atra Project is an effort to invest in our Homeland to create means of generating income for Assyrian villagers. The current focus of the Atra Project is farming and animal husbandry. Through the support of the Assyrians in the West, the Atra Project aims to enable Assyrian villagers to live and prosper in Bet-Nahrain. Purchased and installed a 37 kW generator that supplies electricity to the village of Betbedi. Installed individual water tanks on the roofs of 20 houses in the village of Doori to provide running water to the Assyrian households. Surveyed Assyrian villages in the districts of Sapna, Barwar, Nahla, Doski, and Akra to determine the best means for our villagers to generate income. It was determined that planting orchards to produce fruits is very desirable. Based on this survey, the Atra project purchased 69,100 apple trees, 3,000 peach trees, and 4,500 almond trees. These trees have been distributed and planted by 464 Assyrian families in 37 villages: Betbedi, Badarish, Sarsang, Sikrini, Belijani, Dihi, Davidia, Inishk, Bakhtmi, Aradan, Doori, Bishmiya, Derishki, Tashish, Jdida, Mayi, Aina d'noone, Margajiya, Hiyis, Bikoolki, Chalik, Iyit, Kanibalavi, Baz, Moosaka, Chagala, Kashkava, Rabatki, Merooki, Bilmandi, Khalilani, Hayzani, Juli, Korigavana, Bageri, Mangeshi, and Kondicose. Determining the needs of other Assyrian villages. Establishing a facility to produce apple juice and syrup. Establishing a nursery to raise and sell fruit trees. Establishing a dental lab to train Assyrians to become dental practitioners. Atra project is our project! It was founded by one of our own, Dr. Ashour Moradkhan, a long-time resident of San Jose who now lives in our Homeland. It is a way for us Assyrians in San Jose to make a difference in the lives of our brothers and sisters in our Bet-Nahrain. The Assyrian Aid Society is a charitable 501 (c) (3) organization. The blows that buffeted our people in the last decades made us stand at crossroads and threaten us to disappear and extinct from the pages of history as a direct consequence of uprooting us from our historic land, Land of Ashur (Beth-Nahrin) that portrayed the generosity and the glory of the Assyrian man across thousands of years and the marks it has left and the cultural role it played for the service of all humanity. Today a high proportion of our people scatters in various continents and countries with different cultures which in itself poses serious dangers that face us and this is the total assimilation and the loss of our historic identity with all its treasures, linguistic, cultural and genuine social customs. We instantly found that our historic roots are being eradicated from our fathers and ancestors' land and we ended up in a foreign land unable to give reasons for our stay and incapable to protect our characters and historic identity, as the adopted nations of Dispersion have become a great mill crushing our national existence and cultural identity. The societies we have scattered into have cultures, in which we are unable to accommodate, giving our status of fear and dissipation. We feel with emphasis, the burning fire and the inevitable danger inflicting us in all areas mentioned earlier, but in order to establish adaptation basis between us and the western culture and civilization and the will to protect what we have inherited from our fathers and ancestors, we feel the need to organize ourselves in associations ready to respond dutifully and act accordingly for what is needed to protect our Assyrian identity and work diligently in new environments. In this regard, the burden is borne by the Assyrian intellectual, who must become a faithful guard to our culture and guide to our sparsed communities, that aids adaptation between our civilization and the present civilization. By this we shall coordinate between the culture we possess and the abundant knowledge in the advanced societies we live in, thing that will assist in bringing to existence of a bonded Assyrian family in Dispersion that would be able to serve the society we live in, and in the same time strife to guard its existence and the precious gifts it has because of its ability to sustain and marvel. 1- Forming comprehensive and objective vision for the social and characteristic features that exists in our society due to massive emigration outside our nation and attempt to serve our people and direct them toward creating Assyrian generation conscious to the nature of the alien society. 2- Express and encourage a new academic writing of the history of our Assyrian people from nation's viewpoint that was neglected by non-Assyrian researchers and historians either unintentional or intentional by linking the negligence process to the conspiracy thought against the Assyrian existence that contributed largely and excessively to the obliteration of the Assyrian national identity among large sections of our nation's compatriots and expose the present painful narration that is emerging toward division along sectarian lines. 3- The study of our national status in Dispersion by activating and linking bridges of understanding among the intellectuals of our Assyrian people regardless of sectarian affiliations and standing firm against advocates of new names aimed at dividing our Assyrian nation into numerous nationalities and work for the consolidation of the national security principles to implement the one nation definition. 4- Coordinate the cultural status between the scattered Assyrian communities and work to activate cultural and informational movement to serve the high goals of our people through reviving of our rich legacy and protect our language with all its dialects and principles and affirm that as urgent national goals and build civilizational and cultural bridges between us and the societies we live in. 5- Strengthing fraternity bonds between our Assyrian communities in various countries and work to benefit from the advanced communications to link bridges that lead to the consolidation of this matter and affirm the civilizational and cultural links between our communities and the motherland. 6- The emphasis of the nation's general rights by democratic means in the selection of the right person in the right place that relate and has direct effect in the destiny of the nation. 7- Express and encourage the Academic writings that monitore the Assyrian national and political movements in the previous decades to evaluate our political and national status. obliged to work for the sake of widening the Assyrian national intellectual domain in the country he/she resides. The 36th annual Smithsonian Folklife Festival will explore the cross-cultural influences among the lands of the ancient and fabled Silk Road, from Japan to Italy. The 2002 Festival, "The Silk Road: Connecting Cultures, Creating Trust," will be held outdoors on the National Mall between 7th and 14th streets Wednesday, June 26 through Sunday, June 30 and Wednesday, July 3 through Sunday, July 7. On the way, visitors will pass three Assyrian contributions: singers and musicians, jewelry makers and a calligrapher. The sponsorship for most of the Assyrian participation is borne by the Smithsonian festival itself but part of the expenses also come from individual members of the Assyrian community in the United States, especially Mr. Afram Koumi. This is a wonderful opportunity to expose the thousands (over 1 million) visitors to Assyrian contributions to Silk Road civilization. Plan one of your summer vacations about this event. The Assyrian American Association of S. California has decided to accept the invitation of United Armenian Students and take part in the April 24, 2002 Genocide events. Assyrians of Southern California are asked to join in around 9:30 a.m. at the Assyrian Center and from there proceed to the March in Hollywood's Little Armenia. The Assyrians will be permitted to speak officially about the Assyrian, Armenian and Greek Genocide because many Assyrians were slaughtered as well. (ZNDA: Washington) The Arab monarchs and presidents-for-life met in Beirut amidst boiling crisis. They had to discuss the "Palestinian cause" between the Saudi initiative and the Syrian radical maneuvers. They had to face the "Question of Iraq" between Kuwaiti resentment and Arab solidarity with Saddam. And lastly but not least, they contemplated signing on the campaign against Terrorism, an initiative that sunk under the rolling thunders of Hezbollah. Those issues were omnipresent. But the Arab League skipped significant other dramatic matters, including internal injustice to the region's minorities. Those absent from the summit, were 18 million embattled Christians, from Mesopotamia to the Nile Valley, passing by Mount Lebanon. These nationalities includes 12 million Copts in Egypt, 7 million Africans in South Sudan, 1.5 million Maronites and other Christians in Lebanon, 2 million Assyro-Chaldeans and Syriacs in Iraq and Syria as well as more then half a million Christians in Palestine, Jordan and the Arabian Peninsula. These communities combined constitute the single largest non-Arab population living under Arab regimes. Yet, it was a fact that when 22 Arab states met, they excluded representatives of significant segments of their populations. The Middle East Christian communities are native ethnicities, which preceded the Arab conquest of the region. They were the original owners of the land outside the Arabian Peninsula. They have been submitted to oppression and Dhimmi (second class) status for 13 centuries. And today, when the Arab regimes met to discuss the region's affairs, they acted as if the Middle East Christians did not exist. Lebanon: The country is under direct occupation by the Syrian Army since 1991. It was bled by a series of violent shelling campaigns since 1976. Christians are emigrating at a high pace. Those who oppose the Ba'athist onslaught are brutally oppressed. Hundred of political prisoners in Lebanese and Syrian jails are forgotten, tortured. Arab eyes only see Israel's past occupation of the south, but fail to notice Syria's occupation across the country. Brothers do not criticize brothers. Sudan: The genocide perpetrated by the Sudanese army and militias against Southern Sudan took the lives of more then a million black men, women and children since 1983. But self-determination works for Palestinians, not for Negroes. The West Bank of the Jordan River exists in the Arab lexicon, the southern banks of the Nile River don't. Moreover, no one has discussed the enslavement of hundreds of thousands of Blacks in South Sudan. Too dark to have human rights perhaps? Egypt: Twelve million Copts are represented by four members in the National Assembly, all chosen by the president. Three times the size of the entire Palestinian population, the Copts have fewer rights then the Arabs citizens of the state of Israel. Regular massacres against the Copts do not make it to the Arab League agenda as do the clashes in Gaza. Syria and Iraq: Land of the oldest Semitic cultures, Mesopotamia and the Syrian Plateau are today the land of cultural and political suppression of the native peoples of the Fertile Crescent: Syriacs and Assyro-Chaldeans. Their languages, spoken by Jesus, were eradicated on behalf of Arabization. Their ethnic organizations forbidden. Palestine: Christians are harassed and persecuted by Hamas and Jihad, Bethlehem overwhelmed by the Palestine Liberation Organization, and their spiritual leaders pressured to remain silent on Nazareth. Finally, Saudi Arabia: The question is crystal-clear. Religious intolerance against Christians and all other religious groups is law. But let's praise the governments of Jordan, Kuwait, Oman, the Emirates, Qatar and Morocco for the level of tolerance and legal protection they grant Christian and other communities in their countries. In Beirut, the Arab League once again missed the boat of reconciliation with the region's past, and with its own minorities. But the demonstrators who marched in the eastern sector of the capital said it all. They lit fires from tires. They wanted the world to see the smoke. Like those last Indian tribes vying for their ancestral land, the Christians of Lebanon expressed the fears and frustrations of millions around the region. They wanted the world of post-September 11 to open its eyes on the last of the Mideast Mohicans. Hoping that the Campaign against Evil will free the unseen victims of Terrorism. 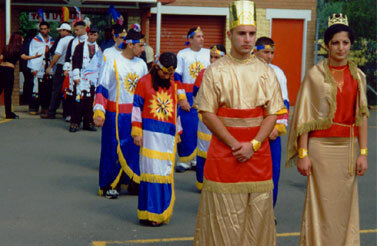 6752 years later, Assyrian young people invited all Australian mixed in ages, gender, and style to a festival showcasing the Assyrian New Year. 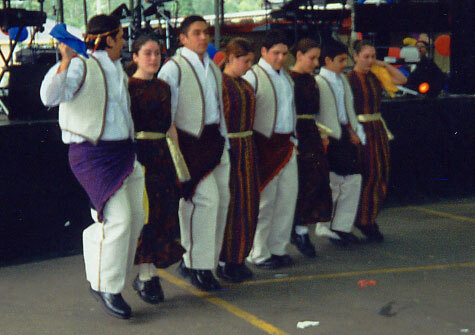 About 10,000 people attended from all around the Greater Sydney area to join them in celebrating The Miracle of Akitu Assyrian Fest on the 7th April 2002 at Fairfield Showground. As a part of young Assyrian's moving through to 6752, their impact towards their community was seen as they encouraged local people to draw others in their region together in a project linked to National Youth Week 2002 and Pepsi Taste Challenge. In the week leading up to Akitu Assyrian Fest Assyrian young people across the region linked arms and invited their friends and neighbours to join them in a time where the Assyrians celebrated their connection with their land and they beauty of nature by welcoming spring and its harvest in their homeland Assyria. The Akitu Assyrian Fest opened the day with a breathtaking performance titled 'Assyria' by Anu-el Drama and Dance Group where the Assyrian flag was led into the Showground together with traditional music by the Dawola w-Zorna. It brought tears to many eyes to see the spirit of Assyria shining through the crowd. The festival was designed to create an open event in which everyone was made welcome and at home. This included a broad range of activities for every age, ranging from kids craft to traditional dance aimed at the older people, from giant rides and a jumping castle to face painting, information stalls, and international food hall. It also included a large outdoor dance party featuring live bands, Assyrian singers, dance troupes and a DJ. The highlight of the day was surprising fireworks display which held the crowds in awe with an enormous display of colours. In amidst the fireworks, the 'Assyrian flag' and the Assyrian identity 'Lamassu' were lit up in all their glory which brought on the emotional applause of all 10,000 who attended. In the midst of all these activities was the opportunity to promote a positive image of young people in the Western Sydney Region through music, drama, dance and art. To provide the young people with the opportunity to display their talents and boost their self-esteem and sense of belonging through participating in the event. And to enhance oppotunity for the young people to access, participate and manage its own arts and cultural activities. Akitu Assyrian Festival is organised by a network of Assyrian young people who are keen to keep their tradition alive and well in a modern day Australian setting. Over 60,000 Assyrian's live in Sydney and were proud to present this very special event, and thanking all Australian's for sharing in such an exciting and inspiring cultural exchange and partaking in a rare glimpse of Ancient and Modern Assyrian music, art, dance and food. The Assyrian New year 6752 was truly a successful day for all. All this could not have been achieved without the support of all the community members that attended and all those that volunteered their hearts and soul for the success of the Assyrian New year. We would like to wish everyone a Happy New Year and the Assyria Youth Association hope to see you at the Akitu Assyrian Fest next year 6753. No drug and alcohol youth event. Are you still griping about the April 15th Tax Day? The Sumerians, who lived in the Fertile Crescent of the Tigris and Euphrates Rivers, developed the first system of taxation and they had a lot more reasons to be complaintive. Sumerians had to spend up to five months a year providing military or physical labor to the government, a tax called a "lifting" - if they didn't have the financial resources to pay a stand-in. Unfortunately for the Sumerians, the central government was ruthlessly good at tax collection and would have made the Internal Revenue Service look like a bunch of pushovers. "It's not clear what benefit the common people obtained from paying their taxes. We assume they did so partly because the king would kill you if you didn't," said Tonia Sharlach, a research assistant in the Babylonian section of the University of Pennsylvania Museum of Archaeology and Anthropology. In fairness to the king, the Sumerians did presumably benefit when the government built roads and maintained lavish temples to Sumerian gods. Unlike other early societies, including the Egyptians and Greeks, Sumerians kept voluminous statistical and legal records on clay tablets, which have turned out to be highly resilient. About a million of them have been excavated and now reside in various museums, including about 30,000 at the University of Pennsylvania. Many of the clay tablets at Penn are no more than an inch or two wide, and some have their own small clay envelopes. Several make direct reference to Sumer's tax system, using the cuneiform characters that Sumerians developed into the first written language. Sumerians used a clumsy system of math that makes their tax records less than reader-friendly. One tablet describes a provincial tax payment that included 2 + 60 + 20 - 1 fattened oxen and 600 + 8 x 60 + 10 sheep. Of course, it took 4,000 more years before the IRS devised a 1040-EZ form. Turkey's Interior Ministry issues an instruction that all Christian villages must be evacuated and re-settled with Moslems. Mass deportation and massacre of Assyrians, Armenians, and Greeks follow shortly after. By 1923, two out of every three Assyrian was either killed by Moslems or perished while escaping from Turkey and Iran.